The Minister of ICT, Supa Mandiwanzira, has just issued a statement announcing the suspension of tariff increases on mobile data. The suspension follows a major outcry from consumers following an activation of floor prices on mobile data bundles. POTRAZ, the country’s telecoms regulator issued a directive to all mobile operators to charge at least 2 cents per MB on data and 12 cents per minute on voice calls starting from the 9th of January 2017. On the 11th of January, Econet Wireless, Zimbabwe’s largest operator changed its tariffs in line with this triggering a flood of complaints. Yesterday, when the tariffs came into effect, Mandiwanzira was bombarded with questions on social media and he promised to get to the bottom of the issue. In the last few minutes, I have conversed with the Potraz Chairman and with the kind permission of the Acting Minister of ICT, Postal & Courier Services, Cde. 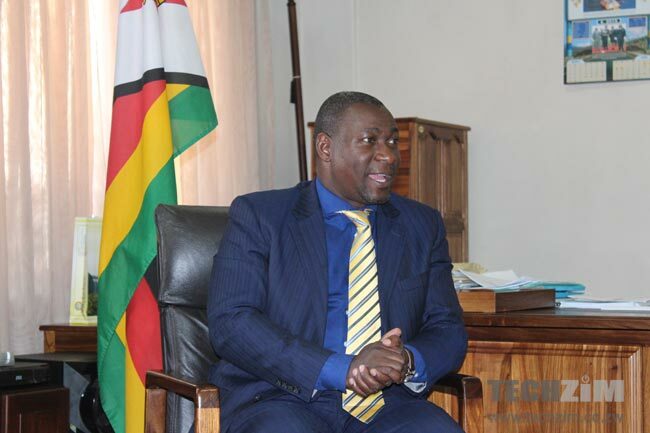 Prisca Mupfumira, I have directed an immediate suspension of the tariff increases that were effected two days ago, to the dismay of many mobile phone users. I have been told that the new prices were actually proposed by the mobile operators to the regulator. While it is conceivable that the price of data may go up, the margin by which the prices have gone up is shockingly high and can only reflect insensitivity to fellow Zimbabweans and gluttonous corporate greed. Internet is now a key driver of economic growth – innovation, entrepreneurship and government service delivery. Internet access is at the centre of all development. It, therefore, follows that it must be accessible – physically and financially. I share and sympathise with concerns expressed by a multitude of Zimbabwean internet users that the recently effected data prices are unparalleled and extortionist. Unreasonable data prices, especially in a high literacy country like ours, undermine our huge investments in human capital, broadband infrastructure and the ability to attract investment. My Ministry’s Innovation Fund initiative, which has raised more than $6 million to date, is premised on affordable broadband and growth opportunities in on-line enterprises in Zimbabwe and beyond. On the occasion of the official opening of the Chikato Community Information Centre in Masvingo last month, our President, His Excellency Cde Robert Mugabe, spoke passionately about his desire to bring marginalized communities, especially in rural areas, onto the information superhighway. This in itself, is instructive that broadband access must be affordable. Given the astronomical rates that have been charged over the last two days, it may be necessary and morally correct to get the concerned mobile networks to refund their subscribers. This shall be on the agenda when I undertake a comprehensive review of the developments of the last two days on the first day of my return from leave on January the 30th. Let me take this opportunity to wish all Zimbabweans, a happy and stress-free new year. Iyo Eco-chinyi yacho ichinyannyawo, kutoita x5. They deserve to be humiliated. the mno colluded to fix the price of data and voice. where is the competition commission. potraz needs to pull up its socks, they have been manipulated by mno. there is no way you can expect these MNOs to discuss a price change which is sympathetic to subscribers as long as the subscriber is not present at the discussion table. You know someone is playing politics when the name of the Highest Office in the Land is being mentioned and thrown about where it is not needed. But who suffers? It is the economy and people, these politicians dont care, anything to get re-elected they will do. Econet was tricked and fell for it hook, line and sinker. 1. MNOs approached POTRAZ regarding protectionist pricing policies after “social media” stripped their main revenue streams (voice and text). 2. POTRAZ told them develop a plan and we discuss. Out of those plans came floor-pricing and OTT premiums. 3. POTRAZ analysed final submissions on floor prices and issued directive in line with the submissions. 4. Econet was the first to comply (visibly also as pusher of the program). 5. Other adopted standard “wait and see until regulator issues threats”, under the guise of engaging the regulator as well as developing repriced products. 6. Public Outcry – Econet laid blame squarely and solely at the feet of POTRAZ. 7. Memo leaks that Econet actually proposed a higher data tariff. 8. Suspension of directive and revert back to previous products, promotions and prices. And you want to defend Econet in all this and cry “Set-Up”? Yes to me its a Set-UP. The parties involved are namely Econet (private), Telecel (gvt), Netone (gvt), POTRAZ (gvt). Looks like all the other parties (gvt) knew exactly what was going on except for Econet. Econet should have set their prices to the minimum recommended floor prices and then wait and see instead of becoming greedy and going overboard with the price increases. I like Strive,but in this case Econet messed up bigtime.Investors matter more to them than the public. morning, if i may ask, where do the PORTRAZ bosses report to before implementing their policies? No one, they are “independent”. Thank you mukoma Supa. Chitienderawo kunotaura na Dokora. Sorry but Econet being the only “PRIVATE” player had to protect themselves from any fines POTRAZ could have placed. We know Econet are greedy like Vodacom when it comes to data. I still fail to understand why mobile data is so expensive when bandwith is purchashed in bulk from the supplier from their source at a fraction of the selling price. Why is Zimbabwe sooooo Expensive from other African countries?? Sorry but Econet being the only “PRIVATE” player had to protect themselves from any fines POTRAZ could have placed. We know Econet are greedy like Vodacom when it comes to data. I still fail to understand why mobile data is so expensive when bandwidth is purchased in bulk from the supplier from their source at a fraction of the selling price. Why is Zimbabwe sooooo Expensive than other African countries?? Sadly this was all political Why all this keeps sounding familiar operational operandi from Zanu PF! Sounds like the Minister is trying to replay another Mutumwa Mawere on Strive Masiiwa. We also saw the same tactic played by Gono on private banks and bankers all to feed the well connected to strip assets and buy them cheap like Obert Obidient Son Mpofu, Kasukuwere etc getting into banking with no idea how to run a bank.